We understand and accept that people who are absorbed in material life, begin to worship God or Krishna due to the fear of death. The lotus feet of God or Krishna are the perfect refuge, free from anxiety, They are the only means to cross over the boundless ocean of ignorance. In chapter four of the Bhagavad-Gita entitled transcendental knowledge, what is karma, vikarma and akarma is explained. Karma means any material action that has to attract a subsequent reaction, in other words, if a person harms a living entity, that same pain will have to suffer in his own person, vikarma means unauthorized and sinful activity, which is executes against the commands of the Revealed Scriptures and akarma means activity by which no reaction is suffered because it is performed in God consciousness or Krishna, that activity is called devotional service, and purifies the spiritual soul of all material contamination. Today in the whole world there are great demonstrations and protests, it would be a good idea if the people were demonstrating and shouting to say that we are tired of living in ignorance, since ignorance is the cause of all suffering and conditioning, we want knowledge transcendental, because this knowledge is the cause of happiness and freedom. 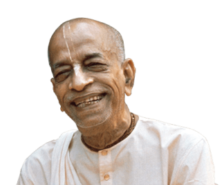 Srila Prabhupada always said that what people like the most is suffering and that they are deceived, they are fanatics of suffering and deception. When human society is directed by very demonic people, an atmosphere of ignorance and passion is created, and people do not have much enthusiasm to live in kindness, to live in goodness one has to develop these qualities: “Live happily in conscience of God or Krishna and be free, (The Truth will make you free) and be kind, tolerant, friendly with everyone, always respect everyone and never want to be respected, be truthful, pure of heart, conquer hunger, thirst, lamentation, envy and old age, do not deceive themselves or others, are happy when they see others happy in God or Krishna consciousness and suffer when they see others suffer and have as their best friends to God or Krishna and His representatives. At no time do they forget God or Krishna and His devotees, in all moments of life they feel the protection of God or Krishna and His devotees. They live free from fear because their future is very bright and they know that they will go back home to God or Krishna. God or Krishna seizes them to make strange people good people. They use their selfishness to go back home to God or Krishna. They do not envy anyone because they live full of peace and satisfaction. They know God or Krishna and they love Him and as there is only God or Krishna and His energies naturally love everyone and everything.